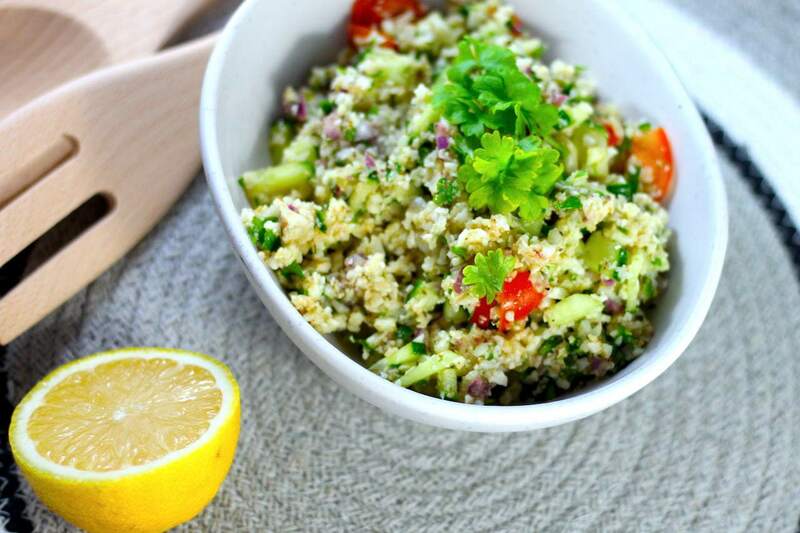 Creating this Keto Tabouleh was an absolute must for me! It is such a delicious and vibrant fresh salad, perfect when served with a reach meat main or even just on its own. 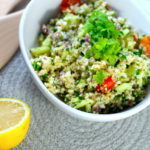 Regular Tabouleh is usually pretty high carb, so this Keto Tabouleh substitutes cauliflower instead of the grains but doesn’t skimp on texture or flavour. 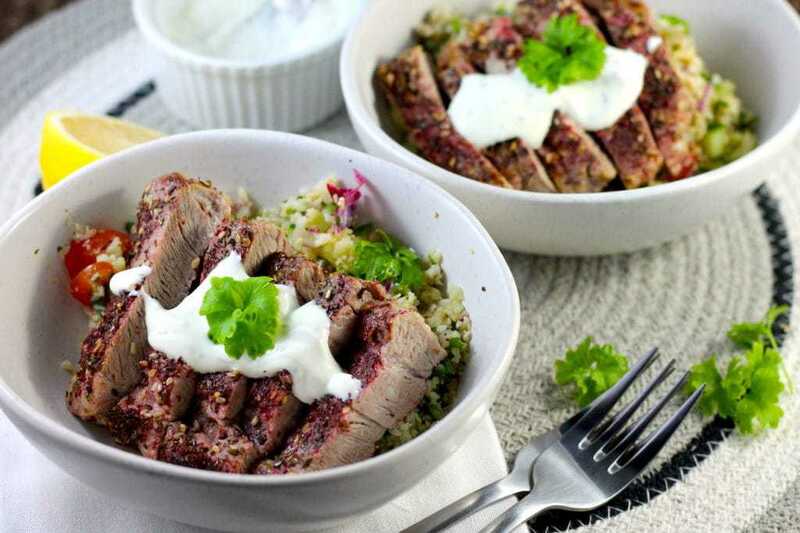 I love to serve my Keto Tabouleh with some Zaatar Crusted pork, some marinated chicken breast or thighs or with some boiled eggs for lunch. 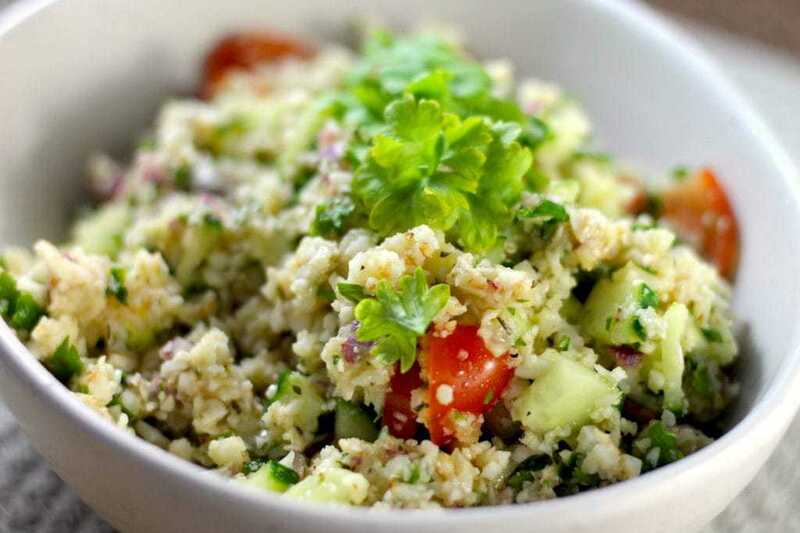 I used 1 bunch of parlsey and a 1/4 of a bunch of mint because I don’t like my tabouleh to minty, but you can use more mint for the Keto Tabouleh if you want to. Best eaten when made fresh to keep everything crispy and fresh, but the next day is fine too. Rice the cauliflower and prepare the other vegetables as detailed above. In a small frying pan, add the cauliflower and 2 tablespoons of olive oil over medium heat. Saute for 4 - 5 minutes until just becoming tender. Set aside to cool. In a food processor (or chop by hand), add the red onion, herbs, garlic clove, salt and pepper. Pulse until just chopped. Stir through the cooled cauliflower, diced tomatoes and cucumber. Whisk together the dressing and pour on top.